This is a Christmas present I made for Kryal. 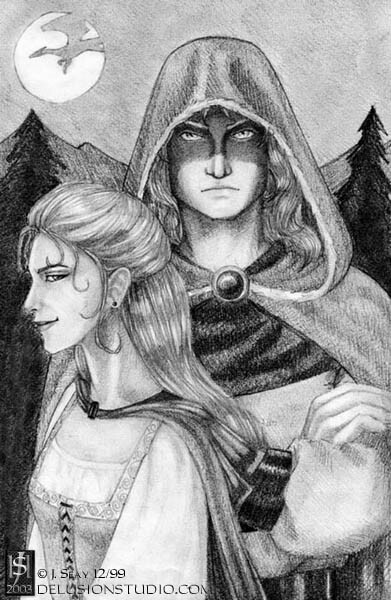 These are the two main characters from her story, Lord of the Mountain. You truly have a gift. Stick with IT. is it me or does it seem like she is shrugging her shoulder up at him? or away from him? and would you be able to share why he has such a dark look? one more comment on this work. i adore her expression and the hair on both of them.